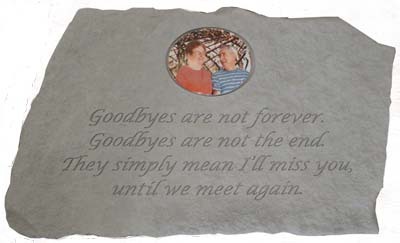 The striking photo memorial stone, Goodbyes Are Not Forever, is an ideal expression of sympathy and love. Crafted of cast stone concrete for durability, the high quality stone is made in the USA and guaranteed for a lifetime. 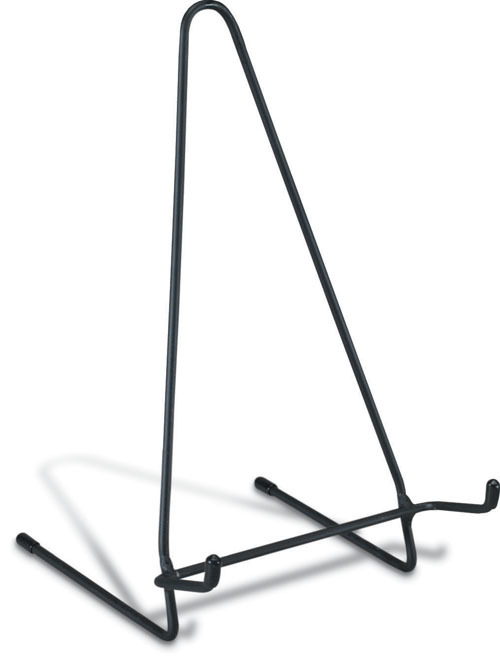 Choose a hi-resolution JPG photo. The photo is permanently fired onto a porcelain insert and is UV protected. No need to worry about fading or discoloration. Email the photo as an attachment to info@hearttoheartsympathygifts.com. Add your last name and order number to the subject line of the email. Memorial stone measures 18" x 11"